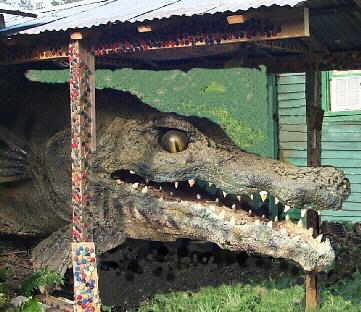 Buford, the bassigator has his own 26 foot shed. He enjoys meeting people at local parades, schools and festivals throughout Louisiana. 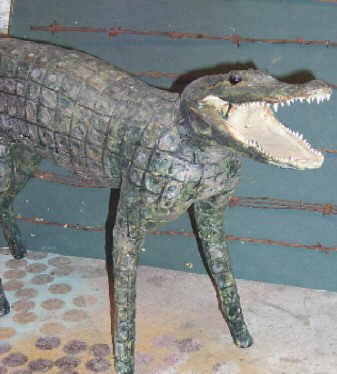 Darrell, the dogigator, guards our interesting collection of antique barbed wire.